KS P141 has been designed for a wide range of applications. It is especially effective when used in liquid-lubricated systems with a high degree of mixed friction. KS P141 is a lead-free material for plain bearings which is specifically suitable for liquid-lubricated systems with a high degree of mixed friction. Grease is only recommended conditionally as a lubricant in contact with KS P141. As a matter of fact, plain bearings made of KS P141 can just as well be used for maintenance-free applications. The material is produced by applying a continuous sinter impregnation method. In a purpose-adapted process, the sliding surface of bronze is sintered onto a steel carrier material, leaving a mean pore volume of about 30%. 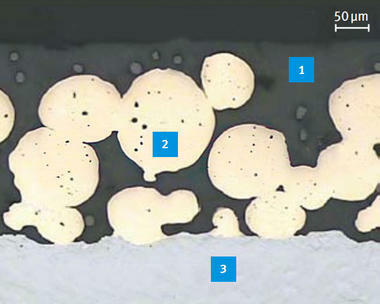 A solid lubricant mass is impregnated into these hollows and submitted to thermal treatment. KS P141 features a low coefficient of friction, excellent emergency running properties and high resistance to flow erosion. Plain bearings made of KS P141 are particularly suitable for use in high-pressure injection pumps and as guide elements in shock absorbers. 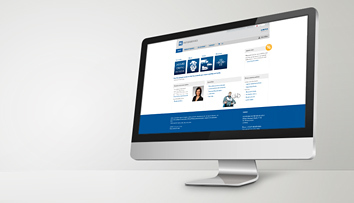 This system of materials complies with the requirements of EU Directive 2000/53/EC on End-of-Life Vehicles. Sliding elements in KS P141 are composed of a steel back, a sintered-on, porous tin-bronze layer and the solid lubricant PTFE with fillers. The steel carrier material used is typically of grade DC04. Its hardness ranges from 100 to 180 HB. The steel thickness is chosen as a function of the proposed application. Typical thicknesses are between 0.7 and 3.2 mm. The contact surface is made up of spherical CuSn10 bronze. The bronze is sintered to exhibit a pore volume of about 30%. The coat thickness is 0.2 – 0.35 mm. The pores are filled with a thermally treated solid lubricant which covers the bronze surface, acting as run-in coat. The run-in coat thickness is 0.005 – 0.030 mm. 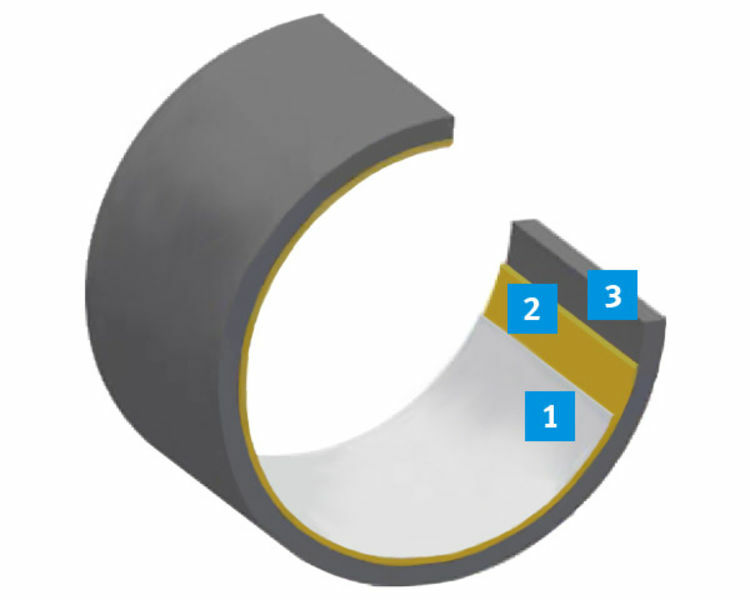 The solid lubricant mass is produced in a purpose-adapted mixing process. In parallel, bronze powder is pore-sintered onto steel in a continuous sintering process. Subsequently, impregnating rollers will feed and apply the solid lubricant. In a series of thermal process steps the characteristic features of the integral tribological system are adjusted and then the necessary thickness accuracy of the composite is accomplished by means of controlled roller pairs. Minor alterations of the contact surface color will not affect the performance of the plain bearing.